We will pick up at any address in the Toronto area in one of our casually upscale private vehicles. 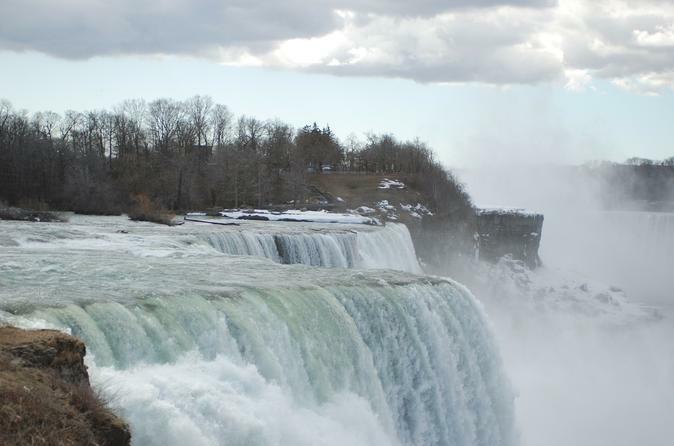 Travel comfortable and quickly to Niagara Falls, Ontario, Canada. Enjoy a 30 minute orientation tour of our city. Hit all the high spots and learn from you driver/guide exactly what Niagara Falls holds for you. Get dropped at your Niagara Region Destination or Hotel. There is something for everyone in Niagara Falls. Niagara is the most dynamic four-season destination in the world. Whether it be the spectacle and wonder of the Falls itself; the smell of ripening grapes, fine dining, a day or night out on the town, shopping or a visit to one of our many attractions. Whatever your reason for coming to Niagara, you can rest assured that you'll find exactly what you are looking for and so much more.Plan to experience Niagara's wonder, majesty, entertainment and excitement. We will pick up at any address in the Toronto Area including Mississauga (airport excluded), at a prearranged time and transfer you comfortably and quickly to the magnificent Niagara Region. Journey along the beautiful Niagara Parkway, see the 3 waterfalls for the 1st time, get up close and personal with natures masterpiece. Stop at Table Rock House, directly on top of the Canadian water Fall, visit the Brink of the water Fall, feel the power. Travel up Clifton Hill, learn where all the attractions are and how to get to them. Get an overview of all the attractions. Find out the best spots to eat and drink, to shop, to visit and what to do while you are here. Then get dropped of at your Niagara Region destination or Hotel to begin your adventure.